This is super odd. We have never heard of this complication. What I would suggest is that if that product, and you are sure of it, is bothering you. 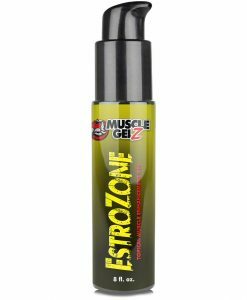 Switch over to Estrozone by Musclegelz. This is a topical version. It's excellent and you rub it onto your shoulders, arms and abs and it absorb superior to oral versions. And now you bypass any gas issues you might be having. Hope this helps!! Need Help with Info on E-Control and Ultra Male?